Garden View Bir hotel in Bir Billing is a peaceful and adorable place in the foothills of Dhauladhar Range. We have fully furnished rooms with wifi, 24/7 room services and attached bathrooms, surrounded by a beautiful garden. Serves delicious and healthy food with self cooking facility. 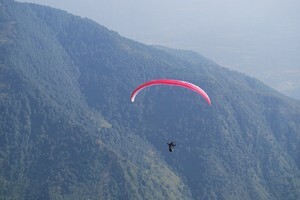 Also you can enjoy world famous Bir Billing paragliding.